This fun metal garden ornament in the shape of a rabbit will look great in so many settings. Use it on the lawn with flower borders as a backdrop or use it in patio pot plants to create an interesting garden feature. The height of the rabbit is approximately 22cm and width 22cm. The stake which goes in to the soil is 8cm long. 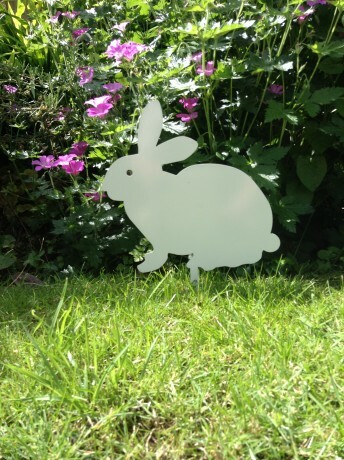 Great gift idea for a garden lover.